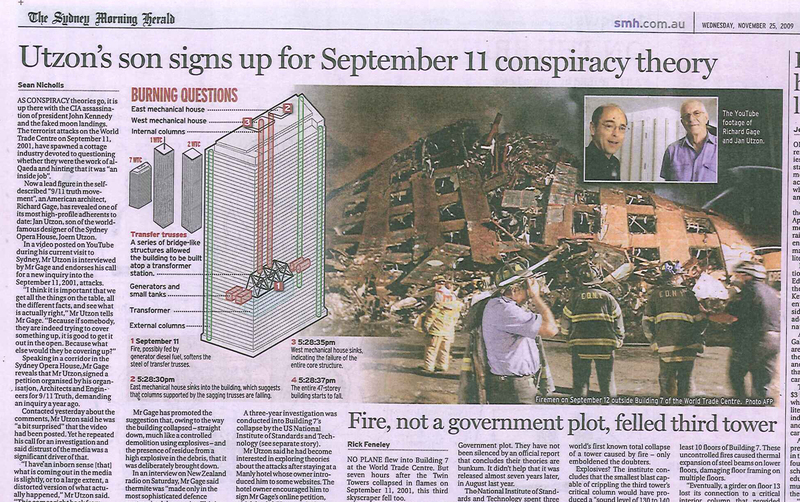 The Dam Bursts - Australian media blockade on 9/11 truth broken! November 25, 2009, part 1 of 1. 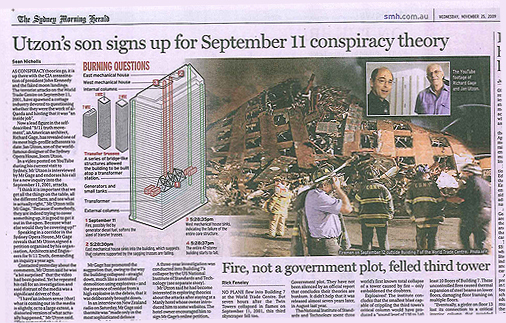 With the publication today of a half page spread in Sydney's leading broadsheet newspaper, we can finally announce that the eight year blackout on reportage of the worldwide movement for truth and justice known as the 9/11 Truth Movement, has finally ended. This is a very important day for all of us who have fought to bring this information to light, whether through street activism, blogging, or even just trying to convince our friends and family that this is real and important. During a break in the Sydney 9/11 Hard Evidence Conference, Richard Gage AIA, of Architects and Engineers for 9/11 Truth, spoke to architect Jan Utzon, son of Joern Utzon, the architect of the Sydney Opera House. Luckily, TNRA was there to record this historic meeting. Please circulate this video widely.